I was in Best Buy, shopping for a gift for my wife. I noticed Chrome books for $149 or so and saw an Amazon Kindle for around $49. Sure, there was plenty of technology $1,000 or more – but there were so many that were like “throw away” accessories. Hardware is getting so cheap, so small and so much more powerful. I’m not sure how much brand name is going to matter anymore. But I do know that that the apps you use, the software you use and how it all works together is so important. Of course your speed and connectivity to the Internet is important as well. In 2016, spend less time on expensive hardware and spend more ensuring you have the software tools that can make you more productive and improve your collaboration and communication. Does this mean you should IGNORE great hardware – of course not. A good iPad, or a solid Microsoft Surface or any number of mobile devices from HP, Dell, Lenovo and other vendors are important. 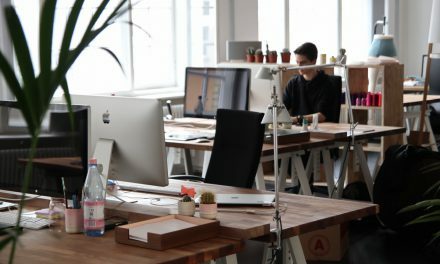 Your printer, desktop computer and other office hardware is CRITICAL. But there’s no need to spend a LOT of money on hardware – spend more money on software and how to use it. 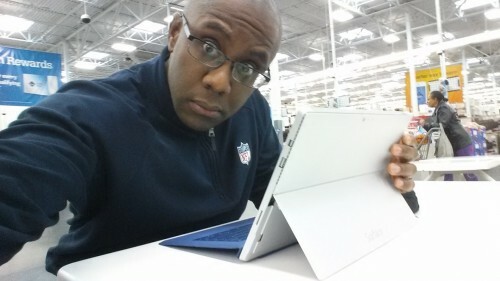 Here I’m pictured with a Microsoft Surface tablet – waiting for tires to be fixed at Sam’s Club. PreviousWhich Tech Bag Is Best For You? 14 Experts Weigh In On Tumi, Thule, Briggs & Riley, Piquadro and other tech bags. NextTechnology and Rising Interest Rates. Audit Your Loans and Get the Best Rate.